Cosben Equipments introduces additional components with it’s Screw Conveyor for Assured Safety! Cosben Equipment’s slogan says Higher Benefits at lower costs! It is our constant endeavour to come up with innovative & intuitive products which will benefit our customers in every way. Keeping in line with this commitment we would like to introduce some new accessories which will help our customers follow their Safety Standards & Procedures more effectively. Importance of Safety Measures & Procedures at the workplace cannot be stressed enough in order to ensure the well being of all the employees/ team. One of the Safety Standards includes the LOTOTO system which is the ‘Lock Out – Tag Out – Try Out’ system. 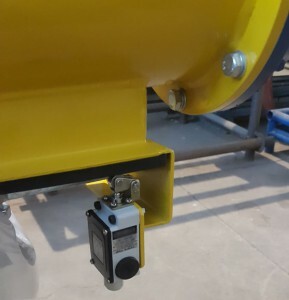 The ‘LOTOTO – Lock Out – Tag Out – Try Out’ is a technique used to prevent the release of hazardous energy which could be electrical, mechanical, hydraulic and/or thermal. In this system, Each worker/ employee/ team member is expected to make sure that there is an energy (mechanical/ electrical process) isolating device in place that can either be in the ON or OFF position. The same person is expected to tag this with the relevant information and then performs a test to assure ‘Zero Energy State’. The purpose of the LOTOTO system is to prevent accidents while a machine or equipment is being serviced. The most important & main objective of this technique is to ensure the Safety & Health of the employees/ workers/ team members. The secondary objective is the protection of the equipment from being damaged. In order to ensure that such mishaps & fatal accidents are avoided, Cosben Equipments has introduced certain additional components which can be attached to a Screw Feeder/ Conveyor for Assured Safety. The Isolation Lock Switch cuts off the power of the Screw Feeder/ Conveyor during inspection checks, maintenance & servicing. The Speed Switch passes on speed data to the PLC enabling the operator/ worker/ team member to check the speed & for safety measures to perform a test which confirms Zero Energy State. 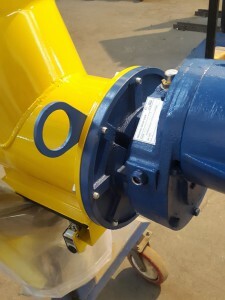 The wire slots provided at the inlet end of the Screw Feeder/ Conveyor help during the erection & connection at site. It ensures there are no mishaps or accidents at site. Posted on March 1, 2016 October 18, 2016 Categories News & Announcements, Safety & MaintenanceLeave a comment on Cosben Equipments introduces additional components with it’s Screw Conveyor for Assured Safety!